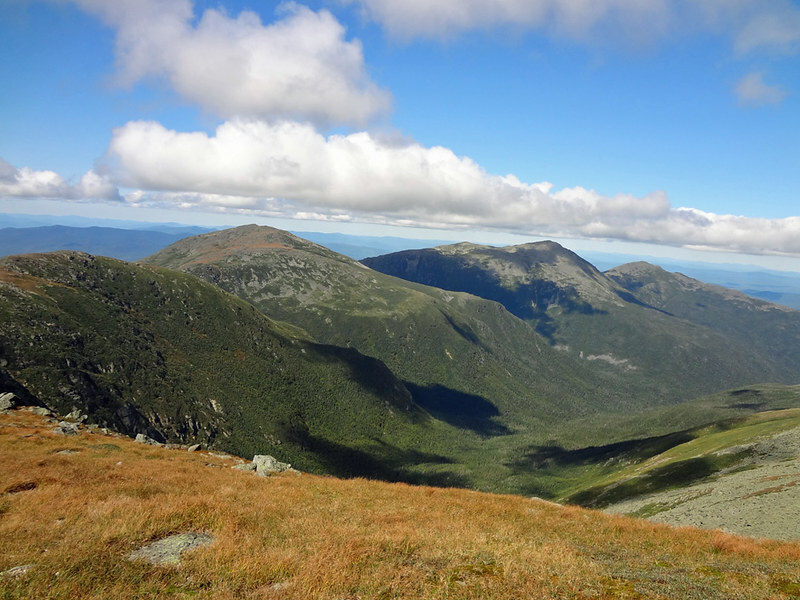 A year after completing the Maine section of the Appalachian Trail, my brother Brad and I set out to tackle New Hampshire. We kicked-off our hike at the southern end of the New Hampshire section, which begins at the following marker on a bridge crossing the Connecticut River. 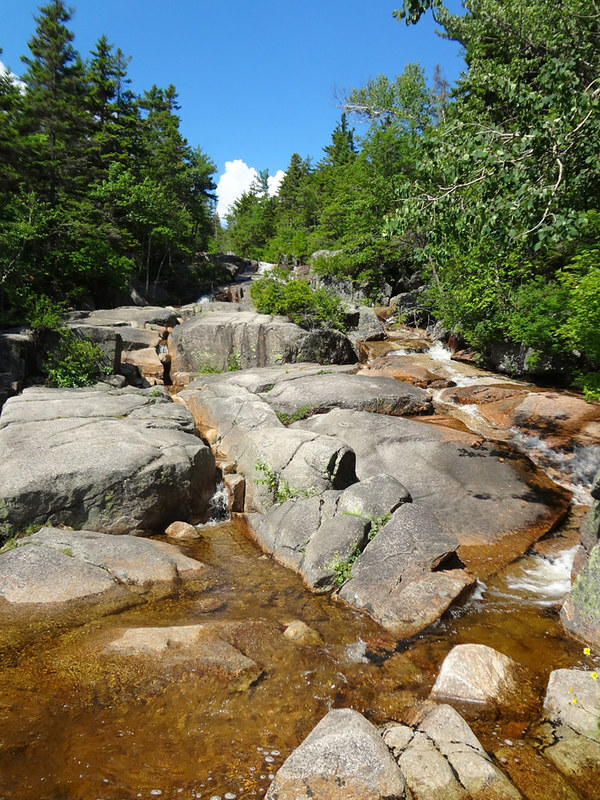 From here we followed the iconic white blazes onto America’s greatest nature trail, eager to tackle New Hampshire’s notoriously challenging terrain. It was only a matter of time before we were awed by a mesmerizing scenic vista. Carrying on we soon found ourselves ‘neath the cover of a lush canopy. Brad was speechless. The first shelter we encountered was hands-down the finest I’d seen. Brad, too, was fully besides himself. 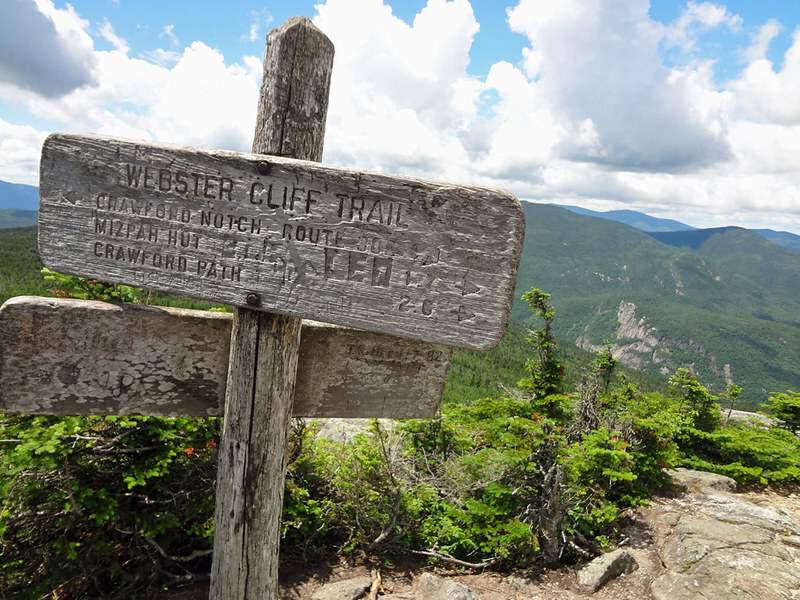 Joking aside, as far as trail towns go, Hanover must be a Godsend for thru hikers. There’s a plethora of restaurants (I recommend Molly’s Restaurant & Bar) to fuel trail fantasies for days. Even the fast food fare is ideally suited to a trail diet with a Bolocco. It was weird, though, following the white blazes painted to telephone poles down sidewalks and through parking lots. 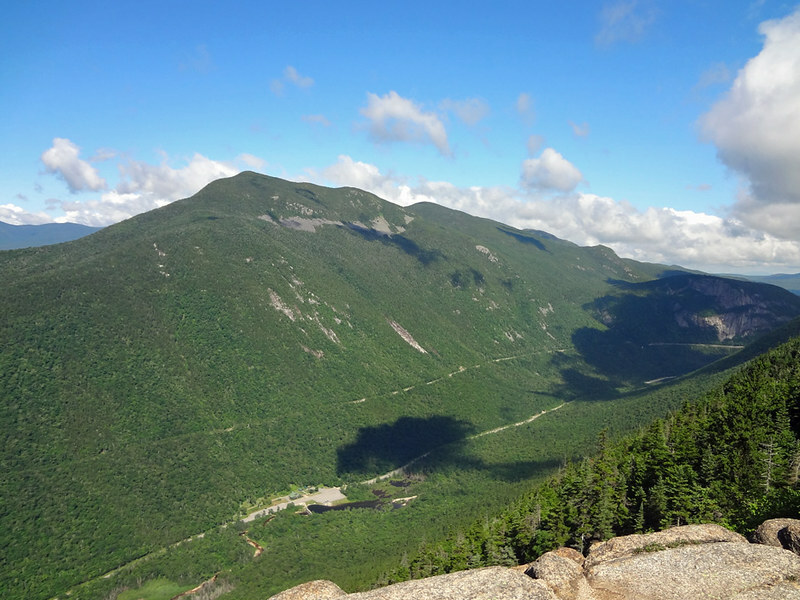 It was early in the morning when we arrived, before the town had fully awaken, but I couldn’t help think the sight of hikers burdened by monstrous packs is a sure sign of summer for locals. We did, however, have an awkward conversation with one young gentleman who seemed thoroughly confused by our presence. He kept muttering something about Rhode Island. Then again, he also appeared to be wearing purple curtains as pants, and it’s probably safe to assume he wasn’t in…well, a natural state of mind. The trail passes the Hanover Food Co-op (conveniently located for thru hikers in need of resupply), goes around a Dartmouth soccer field and eventually enters the woods. 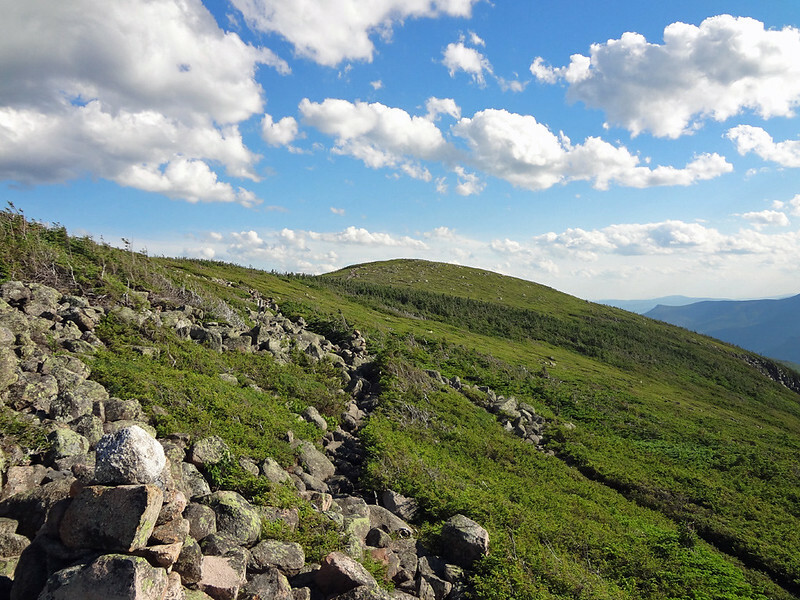 Here the New Hampshire section of the Appalachian Trail begins in earnest, with a gradual but pleasant climb across the Velvet Rocks ridge. Overall the hiking was fairly easy with some casual ups and downs. Upon reaching a spot that threatened to be steep, the Dartmouth Outing Club was kind enough to provide a rope. Using the rope wasn’t really warranted because we had our trekking poles in tow, but it was fun to pull ourselves up with it nevertheless. From here the trail continued along across a marsh, through numerous fields and around a cemetery, which was fitting because it was Memorial Day weekend. 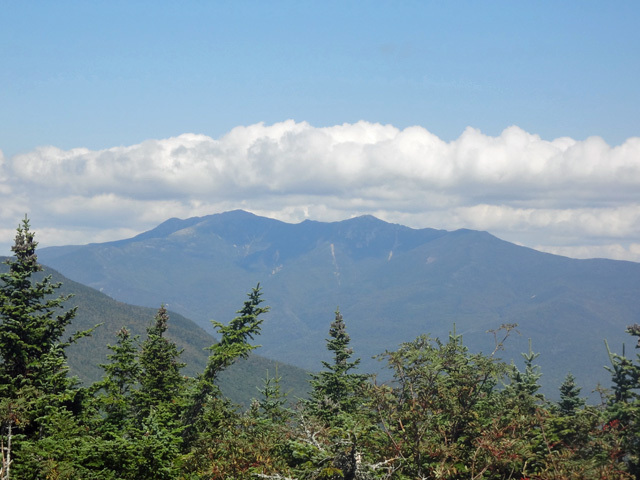 It was an unseasonably hot and humid day for May with the temperatures pushing the high eighties, but the terrain was so easy we found ourselves logging more miles than we anticipated for our first day on the trail. Just when our egos were getting fully inflated for the ground we were covering, I was startled by the sudden presence of a Georgia thru hiker behind me. It was as if he’d apparated there. I felt as though I’d been busted setting my ball up on the ladies tee. After a brief conversation we watched him speed away, confident we wouldn’t be seeing him at the next pit stop—or ever again, for that matter. This didn’t stop us from dubbing him Scuba Steve, as his mosquito netting and pack rain cover from a distance looked like he was prepared for an underwater adventure. 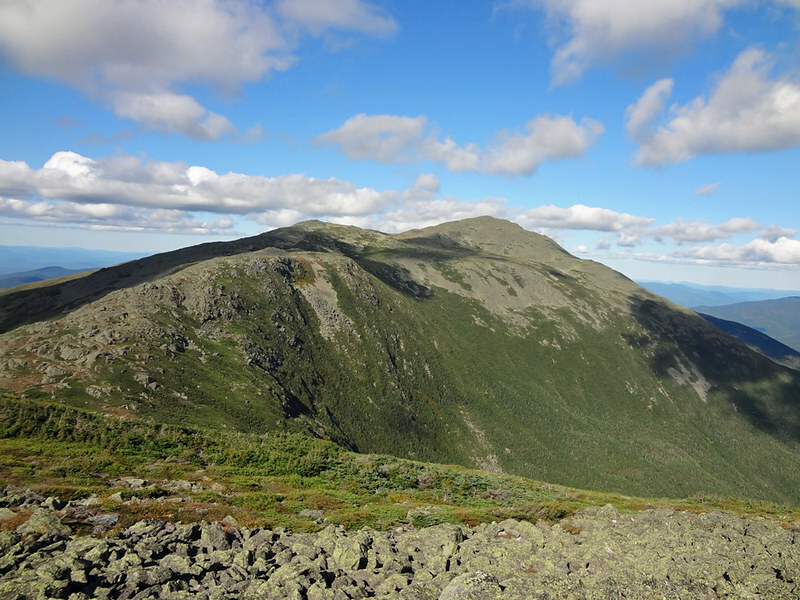 The highest elevation point reached on the hike was the North Peak of Moose Mountain, listed as 2,300 feet. We didn’t linger long on Moose Mountain because we could hear thunder rumbling in the distance as we made our ascent to the top. I did snap a shot of the shelter signage, which had a humorous, created-in-shop-class look to it. Then there was the addition no-doubt added by a trail weary thru hiker. Can you spot it? We also crossed over Holts Ledge, which is a peregrine falcon nesting area. We didn’t see any falcons, but the view was the best we’d been afforded so far on this stretch. By the end of the day we limped into the Trapper John Shelter, named after the fictional M*A*S*H* character that was a Dartmouth graduate. Though the hiking was all relatively easy, we’d logged 17.4 miles and were definitely feeling it. Too tired to set up our tents, we elected to stay in the the lean-to. There wasn’t any one else there that night, so we made ourselves home. It wasn’t until after we’d decided to hang our food from the lean-to and had settled into our sleeping bags for the night that Brad told me we were only a couple miles away from a bear research area. We didn’t start a fire, but the Trapper John shelter had a unique fireplace. The privy also stood out. The seat was fashioned out of an old rocking chair. I must say, it was one of the most comfortable ones I’ve encountered. The signage also helps to clarify any confusion. 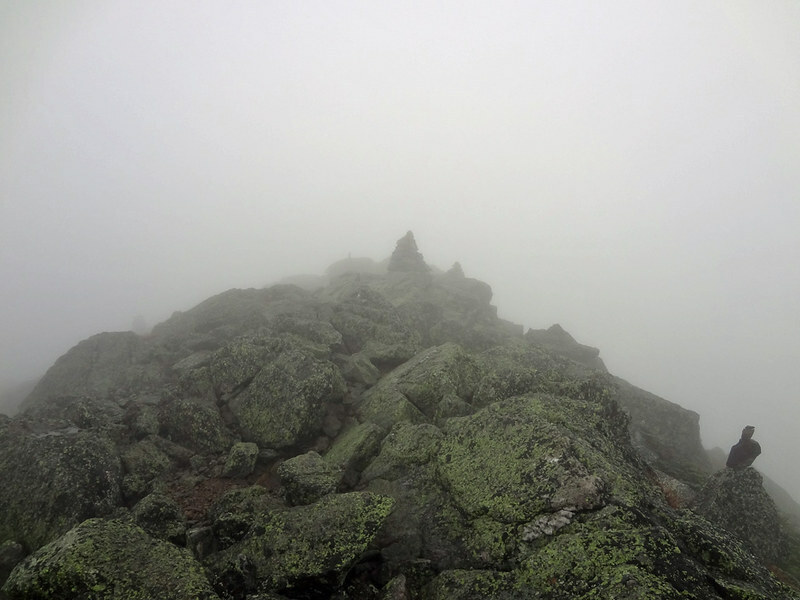 The next morning I awoke sore and sluggish, which I passed off as typical trail fatigue. What was more curious was that Brad was having trouble keeping up with me on the three miles from the Trapper John Shelter to Smart Mountain. This was odd because typically I’m the one trying to keep pace with him. 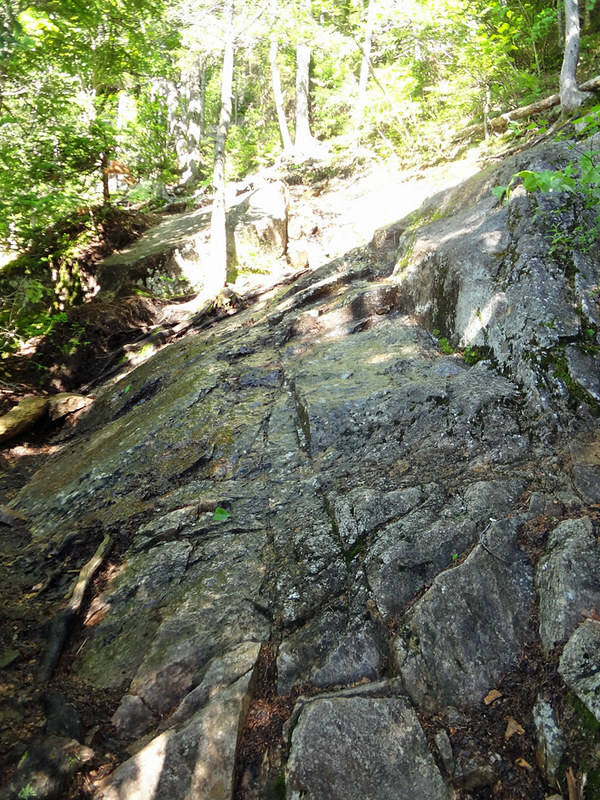 When we got to Smart Mountain the terrain was easy but I was finding the climb difficult. I simply had no energy. About a mile up the mountain Brad came to a standstill. He was having trouble breathing and had a headache. Though I thought we’d drank plenty of water the day before, it was evident the heat and humidity, coupled with the 17 miles, had gotten the better of us. If we were thru hiking we would have just hunkered down and taken a zero day to recoup. Unfortunately this wasn’t an option when we were only out for a long weekend, so we had to pull the plug on the trip. I didn’t realize it at the time, but this was a sign of things to come in our attempt to chip away at the New Hampshire section in small chunks.